Lean Thinking: What's the Role of the Board of Directors? What's the Role of the Board of Directors? 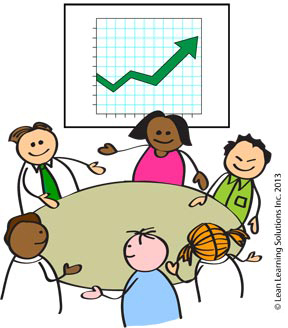 What is the Role of the Board in a Lean Transformation? I've worked with Boards for some time now. "What's our role?" is their most common question. Board Policy documents use the word 'governance' – but what’s that mean?" It's a big deal – role confusion between the Board and senior management can weaken focus & alignment. Once Purpose becomes fuzzy, we're in a heap of trouble. Has the Leadership team defined Purpose (True North)? Does Purpose align with the needs of the community & other stakeholders? Has the Leadership team developed a planning & execution system to deliver Purpose? Are there clear metrics with which we can assess progress & Leadership performance? Is the organization on track to achieve Purpose? Does the organization have a sound financial plan to support its activities? Management must build a good management system and manage within it. The Board must ensure that they are managing effectively. Gemba walks with Board members are a good way of helping them grow into their essential role.